New Hope's senior food editor gazes into the natural products crystal ball to divine what trends will drive consumers, manufacturers, farmers and retailers in the new year. As we near the end of 2016, we have two choices: We can examine the past year and lament our greatest flaws and regrets, or we can celebrate 2016’s successes and employ our achievements to inform our work for 2017. We experienced some great wins in the natural products industry this year. The edible insect industry exploded in growth and now enjoys its very own trade association, The North American Edible Insect Coalition. And we also saw the formation of the Plant Based Foods Association, helmed by Michele Simon, JD. And, while it was flawed, a national GMO labeling bill was signed into law this year. Plus, increasingly more companies are mitigating food waste through technology and smart sourcing. Most notably, however, we saw an influx of new and existing natural food and beverage brands innovating not just for the sake of sales but also for the sake of human health and global sustainability. This is inspiring stuff. Because when a company does things a different way—the hard and often less-profitable way—they’re not just making a better-tasting product. They’re establishing supply infrastructure that elevates every player along the chain—from the soil to the farm workers to the consumer. We at New Hope Network get excited about such boundless innovation. We feel it in our hearts, and it propels us to support the companies making a difference in our food system. Based on the products we’ve tasted over the past year, the articles we’ve read, the speakers we've promoted and the interviews we’ve conducted with suppliers, manufacturers, nonprofits, food influencers and natural retailers, here are our top predictions for the natural food and beverage industry we think (and really hope!) will manifest in 2017. Regenerative agriculture has become the buzzword of 2016. The importance of soil for plant, and therefore human health, has been well-studied and is what regenerative farmers strive to obtain. Farming in a manner that restores nutrients and microscopic bacteria and fungi to the soil is the first step. The next? Develop products that not only use such responsibly grown ingredients but also ones that tell memorable and relatable stories about carbon sequestration, topsoil and microbes that will inspire consumers to seek out regenerative items. In 2017, we’ll see more brands include regenerative ingredients—which hopefully, like Patagonia’s Kernza-based beer, will contain perennial grasses that needn’t be seeded every year. According to Elizabeth Calendario, managing director with Demeter USA, the chief certifying agency in the United States for biodynamic agriculture, Demeter membership is growing at about 10 percent per year. This form of holistic agriculture, which views the entire farm as one entity, has gained significant traction this past year—especially as education-focused brands like Back To The Roots have employed a Demeter-certified product, Biodynamic Cinnamon Clusters. This method of agriculture is specialized. It’s time consuming and intensive. But it’s deeply tied within the regeneration trend, and the benefits of biodynamic farming on soil health are indisputable. Biodynamic is still small. But consumers are slowly understanding the benefits of this growing method. It's good for retailers, too. "Our customers definitely have a deep understanding of the relevance and importance of biodynamics, and they do seek biodynamic products in many categories," says Tristan O’Neill, head grocery buyer at the New York-based Hawthorne Valley Farm Store, located on a working, 750-acre biodynamic dairy farm. "The challenge for us is that many categories still lack a biodynamic option. So the recent uptick in retail biodynamic offerings is fantastic. It’s a great way for us as natural foods retailers to differentiate ourselves from what is an otherwise quite saturated organic marketplace." Adding extra vitamins, minerals and nutrients to junk food is so early 2000s. The newest products spin functional ingredients—particularly herbs and other botanicals into delectable snacks, treats, meals and particularly beverages. Herbal infusions—often referred to as elixirs, potions or tonics in this category—are gaining steam. They will continue to do so based on consumer (OK, mainly millenials’) aversion to swallowing pills. When vast food supplies fill landfills while populations go hungry, it’s time for innovative solutions that solve both the food waste and food injustice problems. The solutions blossoming from this problem are both numerous and varied. On the one hand, we’re tackling the food waste problem by identifying dead zones in the supply chain that prevent almost-expired-but-totally-fine-to-eat-food from getting to people who need it. Apps such as 412 Food Rescue work with teams of volunteers to redistribute food to community kitchens. Plus, we’re particularly excited about a new company called Apeel, which uses landfill-bound organic vegetable waste to create an edible film that coats fresh produce—and may be able to extend the life of food better than current methods such as waxes or ripening gases. We're confident 2017 will see invigorated efforts to mitigate food waste—especially as climate change continues to threaten our crop yields. Perhaps EPA administrator Gina McCarthy said it best in 2015: "Let’s feed people, not landfills." Vegan milks, butters and cheeses get more sophisticated, taste-forward and healthy every year. Far from the questionable ingredients of yesteryear’s nondairy staples (think margarine and oil-based butter alternatives), today’s CPG options are good enough to win the devotion even of those not currently following a vegan or vegetarian diet. In particular, we expect nut-based "cheese"—cultured nut milk made into a creamy, tasty alternative—to exponentially grow. This prediction is especially exciting because some brands such as Kite Hill are gaining widespread distribution and notoriety. Playing into the speed scratch trend, which caters to consumers seeking quick, healthy meals to fit within busy schedules, this relatively new category takes the spoon (and bowl and napkin) out of drinking fresh soup. Often made with organic ingredients—fresh produce shines here—these soups are designed to be enjoyed either cold or at room temperature. Full disclosure: I used to have an aversion to drinkable soups—seriously, how hard is it to crack open a box of soup and heat it in the microwave? But then I tried them. The majority (like the examples below) are really, really delicious and satisfying, and you can't argue with the convenience. Is cauliflower popping up on bar menus and natural product ingredient panels because shoppers were having kale fatigue? Perhaps a favorite new brassica was needed and cauliflower fit the bill? More likely, the deeply engaged paleo, grain free and Whole 30 followers popularized the notion that when blitzed in a food processor, cauliflower is a passable alternative to rice, pizza crust and even hummus. Plus, it’s darn tasty when simply roasted with olive oil, sea salt and pepper (although we think those vegetarian "main" dishes that consist of a whole head of cauliflower for one person are a bit too much—and frankly a stomachache in the making). Here’s to more CPG innovation with this pale, knobby vegetable. In 2014, Time put one of the most contentious figures on the front cover. No, we’re not talking about a politician. We’re talking about butter, the saturated fat beloved by Julia Child and bakers everywhere. Since then, fat—particularly saturated fat—has made a resurgence among natural industry players. One driver of saturated fat growth, including coconut oil, palm oil, butter and ghee, in CPG was a 2015 FDA ruling that trans fatty acids, also called hydrogenated or partially hydrogenated oils (PHOs), were no longer "generally recognized as safe." While the FDA implemented a three-year compliance period for companies to eliminate PHOs from product formulations, companies have fully embraced tropical oils and even animal oils such as tallow to provide stability and creamy texture in products like nut butters, crackers and baked goods. The next year will see improved responsible consumption of such fats from a social and health perspective. Efforts by industry organizations like Palm Done Right, manufacturers like Dr. Bronner’s and Nutiva, and certifiers like the Rainforest Alliance are making strides with palm oil’s deforestation problem. And while the ketogenic diet recommends followers consume ample amounts of saturated fats, we expect the conversation around fats will continue to laud the mono- and poly-unsaturated fats, typically liquid at room temperature. The age of vilifying fat is over. Now it’s time for responsibility—for the planet and responsibility for our health—to dominate the conversation. 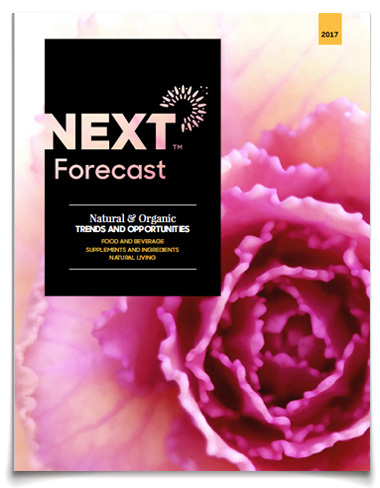 Take a deep dive into natural product industry trends, opportunities and macro forces in the 2017 NEXT Forecast.